News » Capilotractées » Back to the Westergasfabriek, Amsterdam with Capilotractées ! 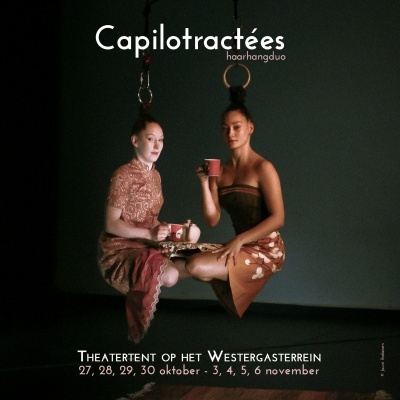 Homepage > News > Capilotractées > Back to the Westergasfabriek, Amsterdam with Capilotractées ! Back to the Westergasfabriek, Amsterdam with Capilotractées ! Two years after the successful show Risque Zéro, we are back in the parc of the Westergasfabriek in Amsterdam with Capilotractées. Close to a freakshow, Capilotractées, poetically gentle, full of humour and a bit of drama, brings us into the core of the hair hanging mystery. Don't be afraid to be surprised! 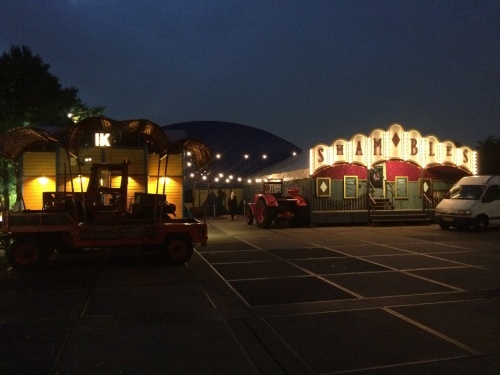 Na het succesvolle Risque Zéro in 2014, is Galapiat Cirque terug in Amsterdam met de voorstelling Capilotractées. Het is bijna een freakshow, maar toch poëtisch, vol humor en wat drama. Capilotractées brengt ons tot in de kern van het haarhangmysterie. Wees niet bang verrast te worden!